From one simple idea thought up by a very intelligent Featherstonian and sent to the right place, get ready for the biggest thing to hit Featherstone’s development since a large scale pit first opened? Featherstone could possibly jump out of the dark ages with the biggest development it has ever seen. For almost 2 years information has been gathered and a plan developed by business people (that’s why it will work) and eventually including WMDC (because it gets them out of the crap). A 32km square forest park from Featherstone to Ackworth to Newmillerdam to Wakefield. 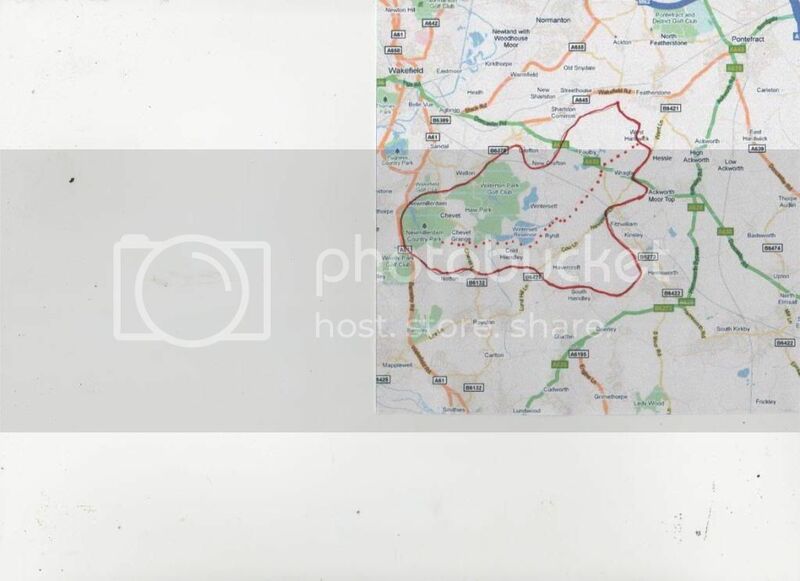 This will incorporate 9 lakes (possibly 10), walking trails, 10k fun run track from Featherstone to Newmillerdam, a half gaugue railway link from featherstone to newmillerdam, ackworth and wakefield, leisure, tourism, watersports, heritage trail and sports all incorporated in a sustained forrest. The best bit is that Featherstone will be one of 2 key gateways that could reap major dividends. LOL at ya Yeti I thought I was only one with that info....drat you beat me to it again. This is not an acurate map but it does give an idea of the size outlined in red. That's a huge area, wonder how long that will take to come together? Is there anywhere where we can read about this park? Looks a massive project. Written Information is confidential now. Monday will see information released in to the public realm or a date when it will be. Yes this project is massive. Its size takes some understanding to comprehend. You will find the full information of the proposal and how it can be done very interesting. Information should be out within the next week.